The Event Kiosk attracts visitors and enhances your presence at any event. Event Kiosk rentals are available for your event. 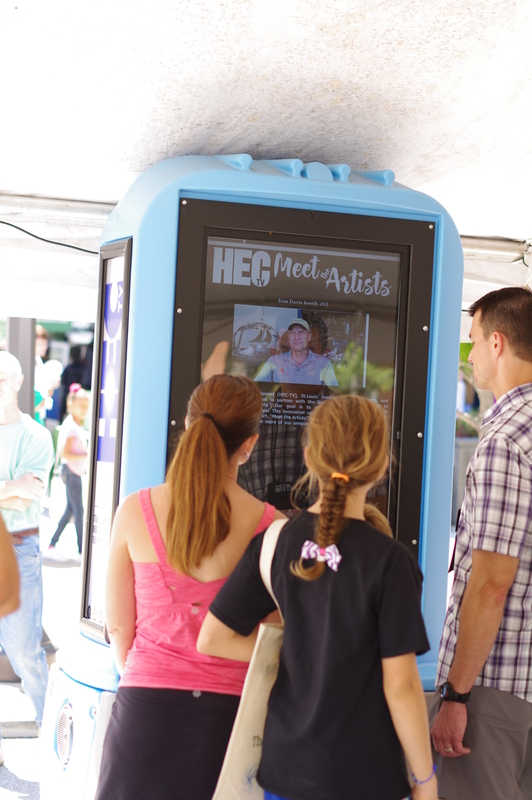 HECTV used the Event Kiosks to present their Meet The Artists project to fair goers. Visitors could lookup artists videos by category. About 80 artists participated in contributing videos. Dozens of fair goers found information about various artists and art at the Saint Louis Art Fair. 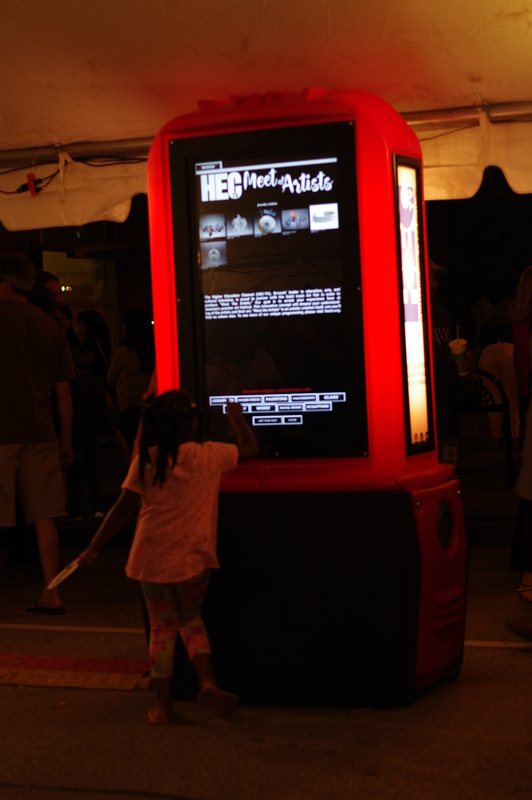 Cultural Festivals used a 17inch tabletop touchscreen kiosk for their Saint Louis Art Fair patron survey. The survey included 20 questions and was also used to enroll particpants in a drawing for a giveaway as an incentive to take the survey. 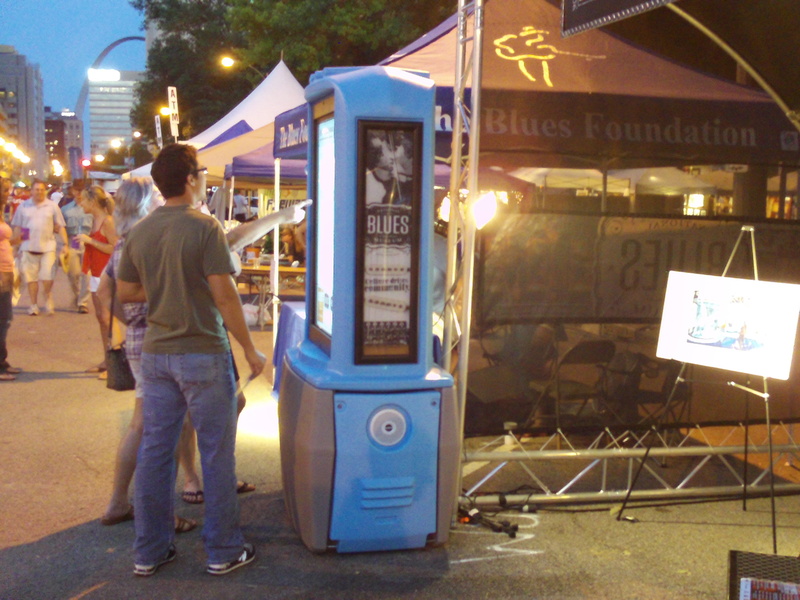 An Event Kiosk at the National Blues Museum booth - Bluesweek Festival 2012. The Event Kiosk attracted hunders of visitors to the Blues Museum exhibit during this event. There were over 500 Blues Quiz questions answered and there was almost always a crowd watching! 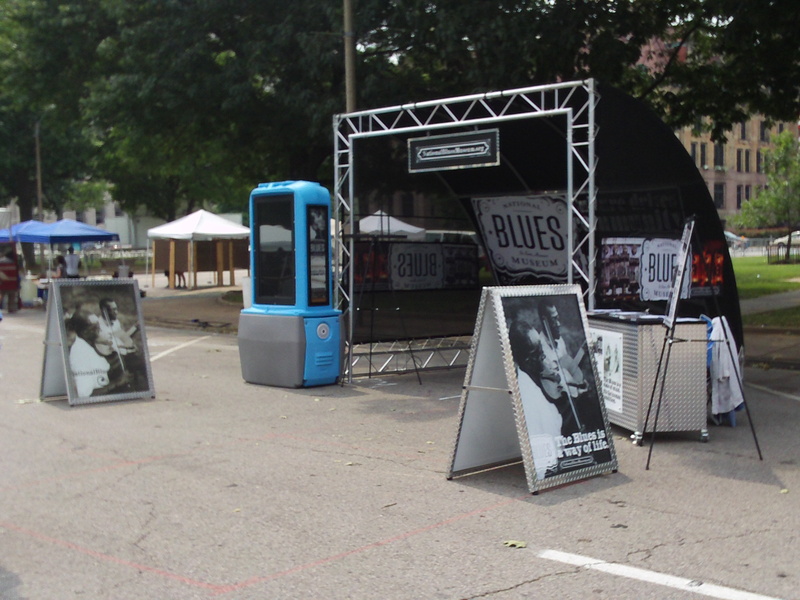 Thats hunderds of visitors attracted to the National Blues Museum exhibit because of the presence of the Event Kiosk. 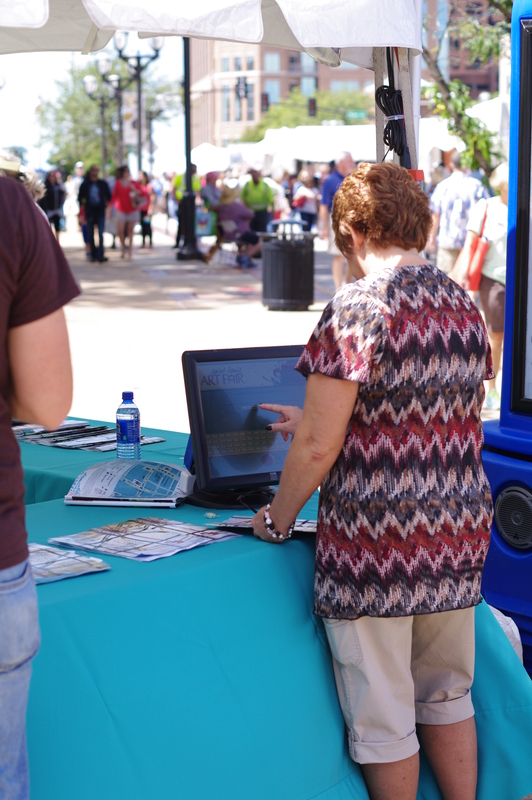 The Event Kiosk also included a Blues Museum Newsletter sign-up form where visitors could enter their names and email address using an on screen keyboard. 43 visitors entered their contact information, giving the National Blues Museum 43 highly qualified solicitation contacts. All of this from an unattended digital Event Kiosk!